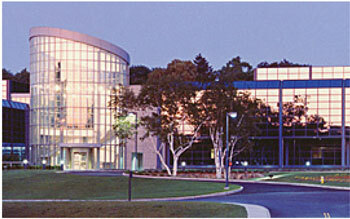 Mitsubishi Imaging (MPM), Inc. is headquartered in Rye, New York with sales and technical personnel located throughout the United States. The MPM in our name reflects the fact that we are a U.S. subsidiary of Mitsubishi Paper Mills and Mitsubishi Corporation, internationally renowned Japanese based companies. Mitsubishi Imaging serves the imaging needs of the photographic, inkjet and graphic arts industries in North and South America. We provide commercial and in-plant printers with offset and digital solutions, high performance imaging products and we support all of our products with R&D and technical expertise. Our customers can choose exactly the right products to grow their business from innovative and ecological CTP and workflow solutions, to premium inkjet media for high resolution imaging and proofing, to commercial, high-speed specialty inkjet media for a wide range of production printing needs and more. In 1979 our SilverMaster® direct-to-plate system was introduced in North America and has been the industry standard ever since. In 1985, we launched Silver DigiPlate™, a groundbreaking polyester computer-to-plate system that helped spark the CTP revolution. In 1995 our two corporate parents, Mitsubishi Paper Mills Ltd. and Mitsubishi Corporation came together to form one company, Mitsubishi Imaging (MPM), Inc. Headquartered in Rye, NY. In 1997 we began distributing Diamond Jet inkjet papers, produced by our parent Mitsubishi Paper Mills, for proofing and poster printing applications. In 2006, Pictorico inkjet was acquired by our parent Mitsubishi Paper Mills from Asahi Glass and Mitsubishi Imaging became the exclusive distributors of the Pictorico high-end inkjet brand in North and South America. In 2007, we launched the Mitsubishi Center for Education. This facility allows customers to test-drive our products and equally important allows us to help plan for the future so we can support and maximize your investment in your people and technology. In 2009, we introduced our Thermal DigiPlate processless CTP system, a breakthrough in printing plate technology. Our patented, unique thermal fusing technology generates printing plates that are completely processless and create a high-contrast image on the plate without any chemical development, wash-off or ablation needed. In 2010, Mitsubishi continued its innovations in inkjet media with the introduction of its Grace Pearlescent Photo Paper, the first of its kind metallic inkjet photo media. We also introduced another Grace product, Grace Drylab photo papers, designed for use in the latest inkjet drylab photo printing equipment. In that same year, Mitsubishi introduced specialty inkjet media specifically designed for the commercial inkjet market and its fast growing array of high speed, continuous inkjet presses. Available in a variety of weights and surface finishes, our high-quality commercial inkjet media for industrial inkjet printing delivers a broad color space, allowing magnificently brilliant colors, faithful detail and pinpoint precision. In 2011, we introduced DP Series Specialty Media for HP Indigo Digital Offset Presses. Designated as an HP Certified Substrate, this media is ideal for the production of high quality printed materials, including professional photo books, wedding albums, fine art prints and more. To achieve excellence in the quality of our products and services and to uphold our prominent position in the imaging industry, Mitsubishi Imaging believes in maintaining a talented, highly motivated workforce within a supportive team environment. To join our winning team, email your resume and salary requirements to hr@mitsubishiimaging.com. Due to the volume of resumes received, qualified candidates will be contacted only if an appropriate position is currently available.